15 MINUTES OF FAME - "In the future, everyone will be world-famous for 15 minutes." (Andy Warhol). Barbara Walters' 10 Most Fascinating People - Wikipedia. the world's most powerful celebrities - Forbes. 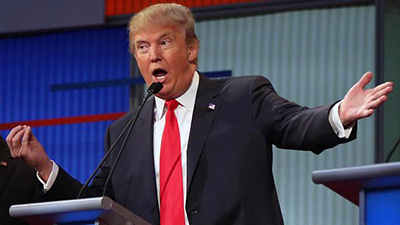 what I say is what I say - Donald Trump at Republican Presidential Debate on August 06, 2015. Cecil - (c. 2002 - July 1, 2015). male Southwest African lion (Panthera leo bleyenberghi) who primarily lived in the Hwange National Park in Matabeleland North, Zimbabwe. He was a major attraction at the park and was being studied and tracked by Oxford University as part of a larger study. Cecil was named after Cecil Rhodes, a 19th century British imperialist and mining magnate. 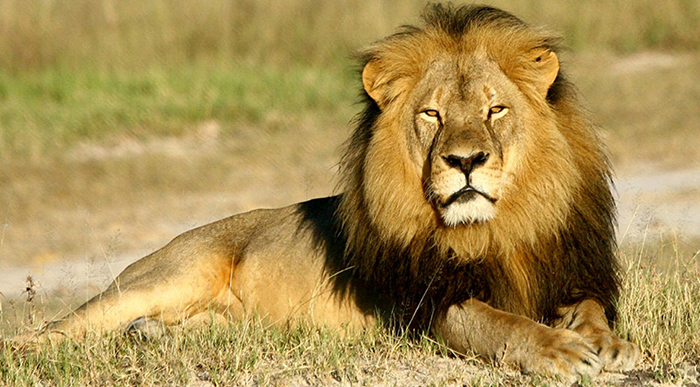 On 1 July 2015, Cecil was shot and killed after Walter Palmer, an American recreational big-game hunter, had wounded him with a bow and arrow. The killing drew international media attention and sparked outrage among animal conservationists, politicians and celebrities, as well as a strong negative internet response against Palmer. Pope Francis - (1936-). "The People's Pope." The 266th pope and current Pope of the Catholic Church having been elected on 13 March 2013. Voted TIME's Person of the Year 2013. Magnus Carlsen - (1990-) Norwegian chess grandmaster and former chess prodigy who is the reigning World Chess Champion and No. 1 ranked player in the world. His peak rating is 2872, the highest in history. Malala Yousafzai - Pakistani school pupil and education activist from the town of Mingora in the Swat District of Pakistan's northwestern Khyber Pakhtunkhwa province. She is known for her education and women's rights activism in the Swat Valley, where the Taliban had at times banned girls from attending school. On 9 October 2012, Yousafzai was shot in the head and neck in an assassination attempt by Taliban gunmen while returning home on a school bus. Edward Snowden - American former technical contractor for the National Security Agency (NSA) and Central Intelligence Agency (CIA) employee who leaked details of top-secret American and British government mass surveillance programs to the press. Willard Mitt Romney - American businessman, politician and the Republican Party's nominee for President of the United States in the 2012 election. PETER HIGGS - best known for the discovery of a new particle called the Higgs boson, also called the God particle. Mitt Romney - "Believe In America." American businessperson and politician. He was the 70th Governor of Massachusetts from 2003 to 2007 and is a candidate for the 2012 Republican Party presidential nomination. LINDSAY LOHAN - American actress, pop singer and model. KIM KARDASHIAN - American businesswoman, socialite, television personality, model, and actress. PETRA ECCLESTONE - daughter of Formula 1 supremo Bernie Ecclestone. CHARLIE SHEEN - (Carlos Irwin Estevez). American film and television actor. JULIAN ASSANGE - Australian internet activist best known for his involvement with Wikileaks ("Courage is contagious"), a whistleblower website. Aung San Suu Kyi - Burmese opposition politician. COLTON HARRIS-MOORE - known as the "Barefoot Bandit". ANNA CHAPMAN - glamorous Russian spy. GARY FAULKNER - Osama bin Laden bounty hunter. KITTY KELLEY - author of the new best-selling unauthorized biography: Oprah: A Biography. JESSE JAMES - (still) married to Academy Award-winning actress Sandra Bullock. SCOTT BROWN - United States Republican Senator from Massachusetts, U.S.A. THE WHITE HOUSE CRASHERS - "5000 Reasons to Party." ANNA WINTOUR - Editor-in-Chief of the American Vogue. THE WORLD'S 100 MOST POWERFUL WOMEN - Forbes Magazine. BARBIE - celebrated her 50 year-anniversary on March 9. HOLLYWOOD.TV - Hollywood as it happens! HOLLYWOOD.TV combines television video and up-to-the-minute news on your favorite celebrities. POPCRUNCH - a celebrity news tabloid for celeb gossip junkies. THE ULMER SCALE - Hollywood's most trusted guide to the global star power of actors and directors! TIME MAGAZINE - the world's 100 most influential people 2009.
WHO ABC.COM - celebrities guide.